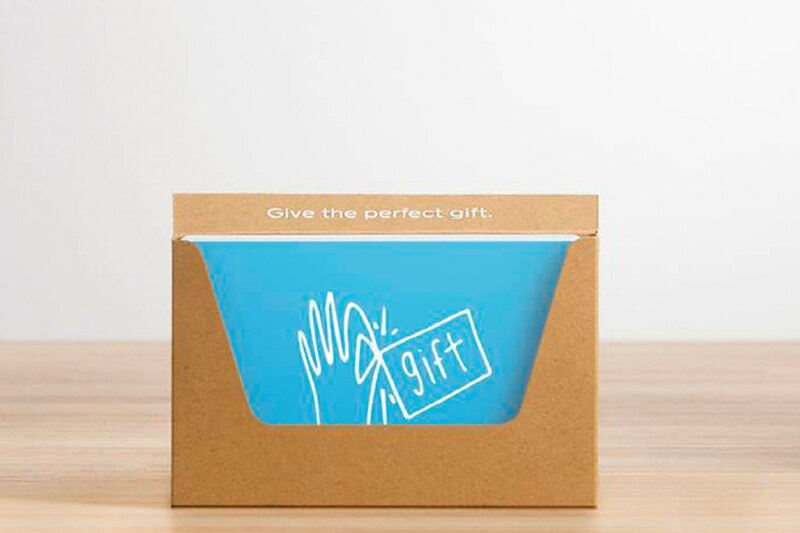 Though they catch heat for being impersonal, gift cards are incredibly popular. Not only are gift cards a common gift for birthdays, holidays, and other celebrations such as graduations, but they’re also the most requested gift, according to the National Retail Federation. Sales are projected to reach $149 billion in 2017, a 54-percent increase from 2007. So whether you’re a retail store owner, a personal trainer, or just opening a restaurant gift cards are a great way to connect with your customers and offer a simple, effective way for them to give their favorite thing — your business. But there’s more to gift cards than just setting them on your counter (although making them visible is important). The more creative you get with your gift card marketing, the more return you’ll see from them. Offer digital and physical gift cards. Customers want the option to shop and buy wherever they want, whether that’s online or in person. Gift cards are no exception to that rule. Digital gift cards are one way to up your omnichannel strategy. E-gifting is growing quickly and is expected to reach a volume of $14 billion in 2017. Square offers free digital gift cards, so your customers can buy gift cards online and email them to their friends and family. And don’t underestimate the value of physical gift cards. In the past five years, the average number of physical gift cards purchased per customer has increased from 4.8 to 5.9. Square has regular gift cards available that can be customized for your business. Why not let people receiving a gift card know what they can use it on? Whether they’re loyal customers or new to your space, a short guide can get gift card recipients excited about your store’s offerings. A guide could show favorite products, new offerings, behind-the-scenes looks, or upcoming events. You also might theme your guide for upcoming holidays or seasons. Don’t forget to include your social media handles in the guide so customers can look you up online, too. More than half of digital gift card purchasers are buying for themselves. Since 2014, self-purchasing of physical gift cards has grown by 9 percent, while digital self-purchasing has grown by 13 percent. It’s an easy way for customers to gain loyalty points or rewards, or to create a set amount for spending at a location (to budget for coffee, for example). You might encourage this behavior by creating an email or social media campaign that promotes purchasing gift cards for personal use. Or consider implementing a loyalty program to encourage customers to return and utilize gift cards for rewards. Use gift cards as a loyalty reward or upsell. Speaking of loyalty programs, gift cards can be a great reward for your most loyal customers. Whether you have a program based on number of purchases or purchase amounts, offering a $5 or $10 gift card is a nice incentive to keep customers coming in. Another way to keep customers coming back? Consider offering a gift card as a reward for money spent. For example, a $5 or $10 reward for a larger purchase. You’ll be able to thank your customers while encouraging them to come back soon. Promote gift cards for all holidays. Gift cards are great for major holidays like Christmas or Hanukkah, but you could also think about marketing gift cards for more minor holidays. Encourage customers to celebrate holidays like national ice cream day, teacher appreciation day, etc., or create your own. Create a gift card co-op. Work with other local businesses to create packages of gift cards for complementary services, or create a group of businesses that sell each other’s gift cards in their stores. It’s a great way to get exposure in other spaces and encourage customers to shop in your neighborhood.